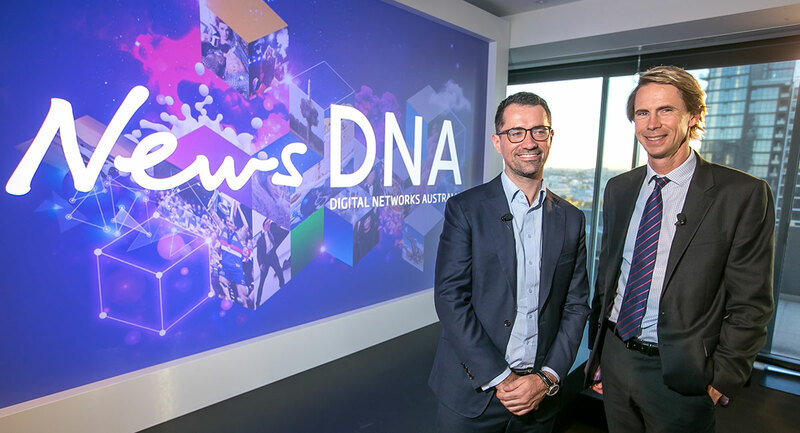 News Corp Australia started its presentations for the annual Come Together event in Melbourne this week before it moves to Sydney in a fortnight. 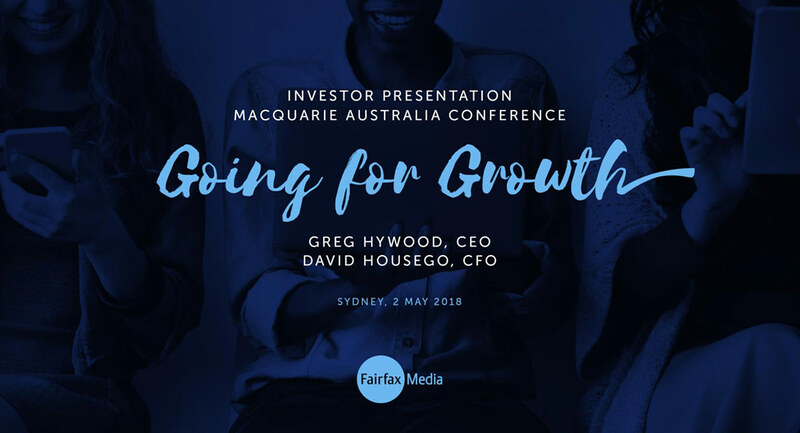 Greg Hywood has been a regular visitor to the Macquarie Australia conference as CEO of Fairfax Media. This year he presented another deep dive into the media company’s strategy. Below are some of the highlights from his presentation. In the past we have focused on the transformation of Fairfax, from a traditional media model with a large fixed-cost base to a modern, diversified portfolio of multimedia and digital assets with a flexible, lower cost base. Transformation is one of those words that gets thrown about. In our case the changes have quite literally been transformational. Today’s presentation outlines our growth and value creation agenda for our portfolio of leading information brands, marketplaces and entertainment, assets that connect with 70% of Australians and 90% of New Zealanders. We have hit a new phase in the development of the business. We have taken big decisions around cost. We have taken big decisions to create businesses such as Domain and Stan. Our continued focus is on organic value creation opportunities, going for growth, maximising our existing core assets. Between 2012 and 2018, newspaper industry advertising revenue as a percentage of the total Australian advertising pie went from 23% to just 8%. To date, that’s been a $300 million average annual reduction in revenue across the industry. In the face of that profound industry disruption, setting ourselves on the path of originating commercially viable new media has proven correct. We are achieving our goal of sustaining independent journalism’s public good while at the same time delivering shareholder value creation. In the past six years we have built around $1.6 billion of value. We are focused on accelerating value creation. First to our Domain real estate media and services business, a leading platform at the centre of the Australian property ecosystem, delivering a compelling consumer and agent experience. A year ago we discussed at this forum our strategic intent to separate Domain into a new ASX-listed entity. We achieved that milestone in November 2017. Our 60% shareholding remains a key strategic asset with strong fundamentals. • Building value by growing our quality, highly engaged audiences from 10 million to 13 million. The new revenue model underpinning our publishing business is multifaceted and moves well beyond the traditional reliance on advertising, print subscriptions and circulation. It continues to leverage premium brands, quality journalism and audiences that have never been larger in the company’s history. Australian Metro Media is focused on strengthening earnings and long-term growth by driving digital performance and maximising the print contribution. Metro operates six main capital city and national mastheads, and associated Life Media brands, attracting an audience of 11 million across platforms. Revenue is concentrated in that small number of mastheads, with contribution of digital and other non-print revenue at 35% of total. 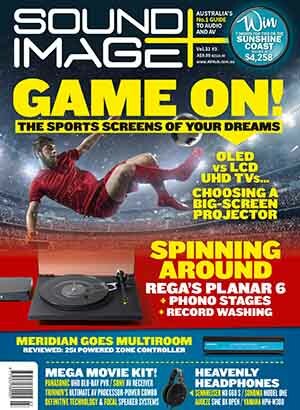 Australian Community Media’s focus is on optimising the operating structure to grow digital and maximise cash flows of low capital-intensive and profitable print. ACM comprises 13 daily and more than 130 non-daily regional titles, nine community titles and 10 specialist agricultural titles. Revenue is diversified among mastheads with the top five contributing only 28% of total revenue. Contribution of digital and other non-print revenue is modest at 7% of total. In New Zealand, our strategic focus is on leveraging the enormous power of Stuff into growing digital, transactional and advertising revenues while rationalising the long tail of print. Stuff operates New Zealand’s leading national digital news site Stuff.co.nz, nine large daily regional titles, 11 national titles and sites, along with more than 50 community titles. Revenue is relatively concentrated with the top five mastheads contributing half of total revenue. Contribution of digital and other non-print revenue is 17% of total and growing rapidly. In New Zealand, the centrepiece of the audience and revenue generation model is Stuff.co.nz, which is the leading local digital platform nationally. Stuff group reaches 90% of the population. The scale of this audience and reach provides Stuff with compelling competitive advantage. Our strategy to grow has delivered an increase in the group’s digital and other non-print revenue as a percentage of total from 23% to 39% in the past four years. Print is generating strong cash flows, which should continue for some time given the industry back-end cost initiatives under way. Our strategy to transform has delivered net debt reduction of close to $1 billion resulting in a strong balance sheet with a net cash position for Fairfax’s 100%-owned entities. Our strategy to build value has delivered Fairfax shareholders $1.6 billion in value creation. In conclusion, Fairfax is thriving. 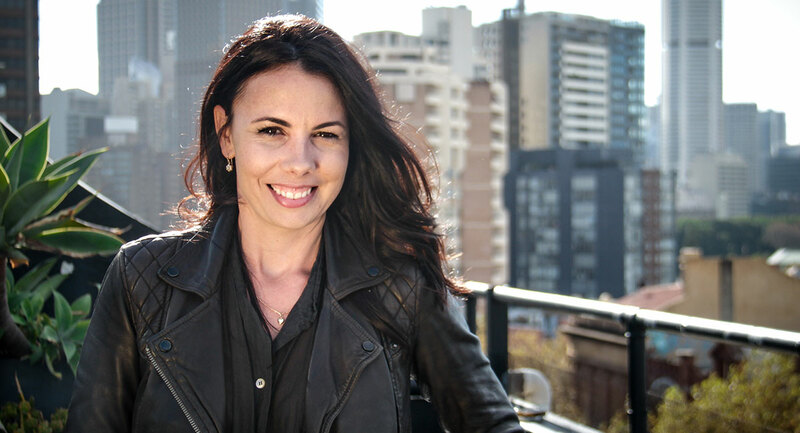 Matchbox Pictures’ director of unscripted and one of Australia’s leading television producers, Kylie Washington, is to join BBC Studios as its first director of production in Australia. Washington is the second recent departure from Matchbox after managing director Chris Oliver-Taylor was recently appointed CEO of FremantleMedia Australia. Washington’s CV includes developing and overseeing formatted factual entertainment, including the Real Housewives brand for Foxtel, Australian Spartan for Seven and Room 101 for SBS. 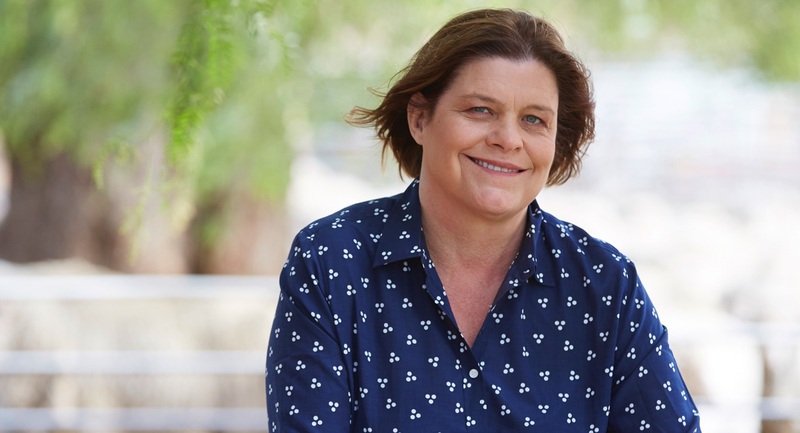 In her new role, Washington will launch and manage the growth of BBC Studios’ television production arm in Australia, exploit the potential of BBC Studios’ format catalogue, drive the creation of new intellectual property and build creative partnerships between BBC Studios’ editorial teams in the UK and Australian broadcasters and digital platforms. 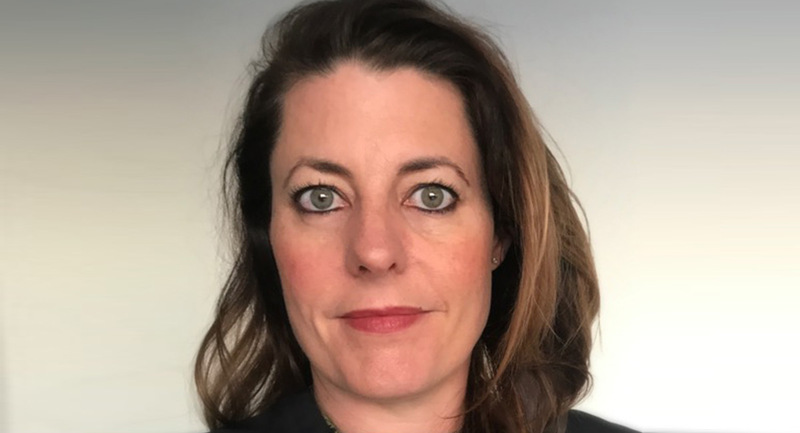 Washington will report into BBC Studios’ international production division, led by Anna Mallett, managing director, production and COO, BBC Studios. She will work closely with Jon Penn, managing director, BBC Studios, Australia & New Zealand, and his executive leadership team. BBC Studios recently gained its first commission in Australia with Stargazing Live 2, due to broadcast live on ABC and ABC iview from May 22-24. 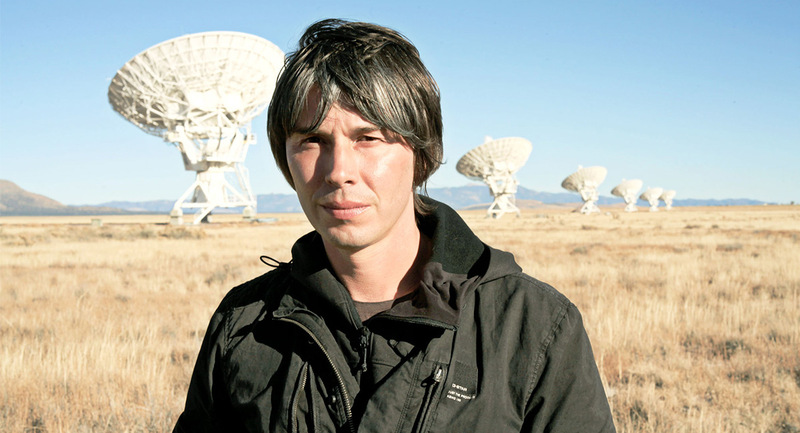 It will be produced locally for ABC by a team from BBC Studios’ Science Unit in the UK. One of Australia’s leading and multi-award winning creatives, Greg Haddrick, has established his own production entity Rainfall Creations to develop original and innovative concepts for a global audience. The co-creator, co-writer, executive producer and showrunner of Pine Gap, Haddrick stepped down from his role at Screentime in January 2018 as head of drama. Underbelly, Cloudstreet, ANZAC Girls and Janet King are some of the productions Haddrick has been responsible for. Nominated for an International Emmy, Haddrick is the recipient of seven AWGIE Awards for his screenwriting and three AFI/AACTA Awards for producing/showrunning some of Australia’s most celebrated dramas. 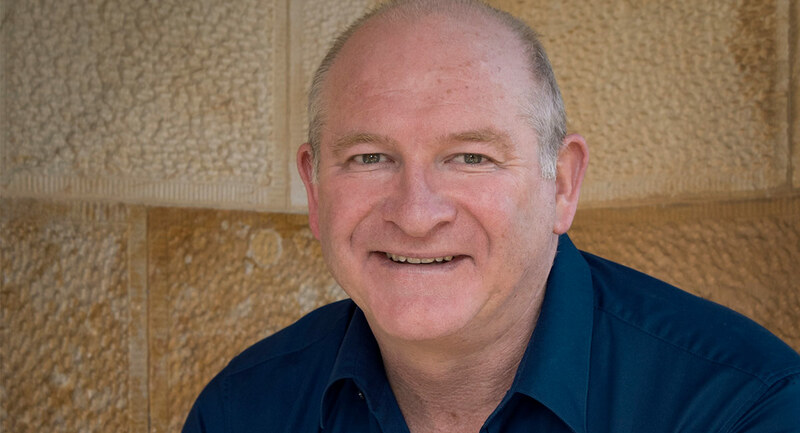 Notably the writer of the first five episodes of Home and Away, Haddrick’s early credits include writing, script editing and script producing on Sons and Daughters, Elly & Jools, and Mirror, Mirror as well as writing for The Flying Doctors, E-Street, GP, and Blue Heelers. Haddrick joined Screentime as head of drama in 2001 following the success of My Husband My Killer, for which he wrote the screenplay. He then created, co-wrote and script-produced three series of MDA, produced The Incredible Journey of Mary Bryant, executive-produced Jessica, produced and script-edited False Witness, and wrote and produced both The Society Murders and The Informant. Haddrick also secured the commission and produced the now-legendary first series of Underbelly (with Brenda Pam) for the Nine Network, writing episodes 4, 6 and 10. He also produced Underbelly: A Tale of Two Cities in addition to writing episode 8, executive produced Underbelly: The Golden Mile writing episodes 3 and 13, and produced and script-edited the critically acclaimed miniseries Tim Winton’s Cloudstreet (with Brenda Pam). Haddrick executive produced the three Underbelly Files telemovies, as well as Underbelly: Razor, Underbelly: Badness, Underbelly: Squizzy and Fat Tony & Co. He also executive produced and co-wrote both Crownies and Bikie Wars: Brothers In Arms. More recently Haddrick executive produced both series of the television special event Wolf Creek, the celebrated miniseries ANZAC Girls and executive produced three seasons of Janet King, writing numerous episodes, as well as continuing in his capacity as executive producer/showrunner of Pine Gap. 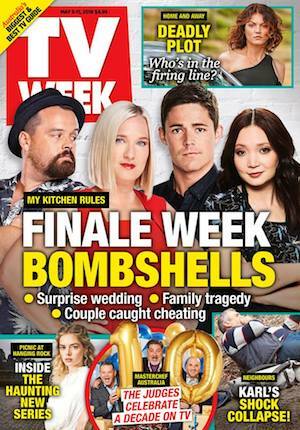 The former managing editor of The Australian Women’s Weekly, Michelle Endacott, jumped from consumer magazines to custom at the beginning of this year. 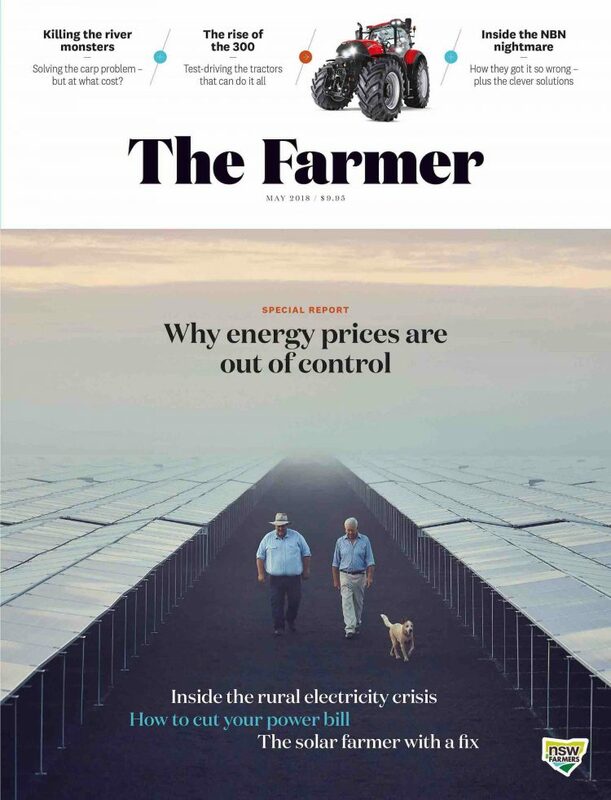 Endacott is now the editor of The Farmer, which is published by Medium Rare Content Agency on behalf of NSW Farmers. 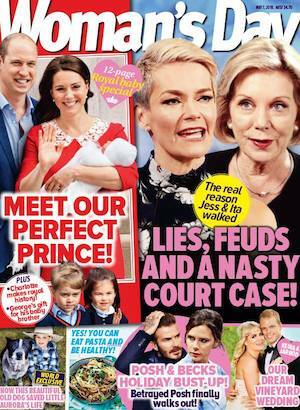 “We really are a first of our kind in Australia,” she told Mediaweek. “There are lifestyle magazines aimed at the outback areas but The Farmer is the first business meets lifestyle magazine that exists.” The first issue of the monthly magazine came out on May 1. 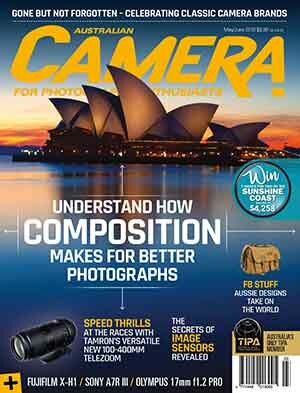 Being a custom magazine means that The Farmer has guaranteed circulation. This is a security that Endacott would not have been able to enjoy when she worked on various on-stand magazines for the past two decades. SBS has announced its broadcast schedule for the group stage of the 2018 FIFA World Cup this June. The broadcaster’s TV coverage will feature 25 premium games live, free and in HD, including the opening match, semifinals, final and all Socceroos fixtures. SBS’s coverage – hosted by former Socceroo captain Craig Foster and The World Game’s Lucy Zelic – launches on Thursday June 14 at 10.30pm with Russia taking on Saudi Arabia. Coverage of the Socceroos’ campaign to progress from Group C under new coach Bert van Marwijk will see the team face Denmark from 9pm on Thursday June 21, then Peru on Tuesday June 26 from 11pm. Both matches will feature exclusive commentary from David Basheer and former Socceroo captain Craig Moore. The World Game website will stream all 25 SBS matches live alongside and the latest scores, video highlights, breaking news and analysis from all 64 games from Russia. SBS Radio will broadcast all 64 matches of the World Cup, live and free via the official FIFA World Cup and SBS Radio apps. Matches will be broadcast in up to three languages simultaneously: English and in languages of competing teams. SBS Radio’s English coverage be hosted by former Matilda striker Kate Gill, former Socceroo goalkeeper Clint Bolton and current Melbourne City FC defender Scott Jamieson. Throughout the tournament, SBS Radio will broadcast in at least 13 languages including Arabic, Korean, French, German, Spanish, and Portuguese, more than any other FIFA World Cup broadcaster. 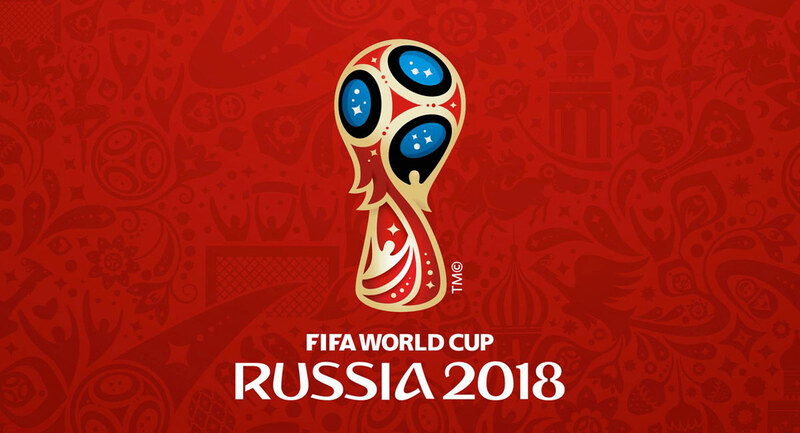 Optus Sport last week announced its 2018 FIFA World Cup coverage, which includes two 24/7 channels, all 64 matches both live and on-demand. SBS’s coverage of the Round of 16 and Quarter Finals will be announced throughout the tournament. 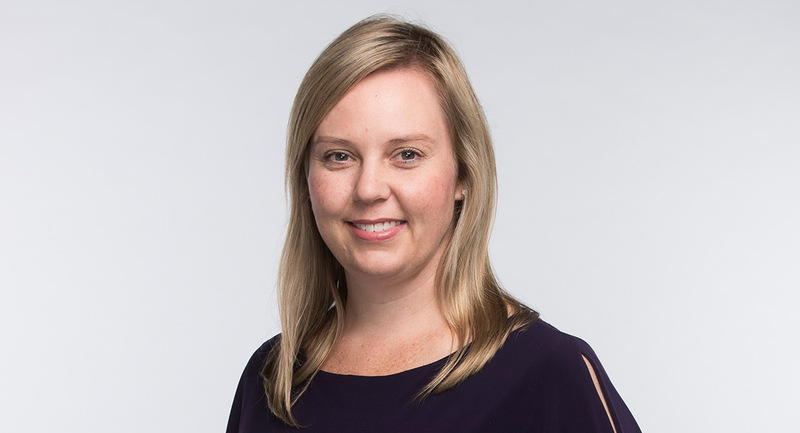 Network Ten has appointed Carla Webb-Sear as chief financial officer, effective May 14. 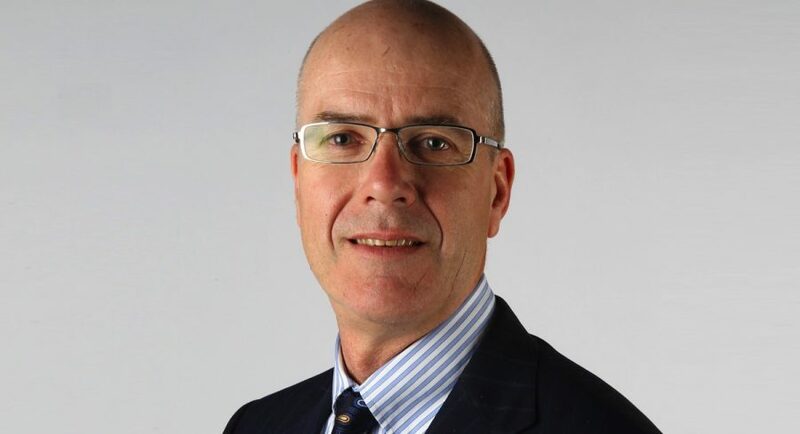 Webb-Sear is currently group general manager, finance, at Fairfax Media. She will report to Network Ten chief executive officer Paul Anderson, and join the company’s leadership group. Webb-Sear has held various finance roles at Fairfax Media since December 2007, including finance director of the Australian Publishing Media division and group financial controller and investor relations. Before joining Fairfax Media, Webb-Sear worked at EMI Music Australia and PwC in Australia, the UK and the US. The appointment follows the resignation of Dave Boorman, who has been Network Ten’s chief financial officer since November 2015. He will remain with the company until May 31. Anderson said: “I am delighted to welcome Carla to Network Ten. An experienced financial professional and strong strategic thinker, she has a proven track record in leading change in fast-paced, complex and transforming industries. Webb-Sear said: “I am excited to be joining Ten and the strong team taking the network into the future with renewed vigour. REA Group is to acquire 100% of Hometrack Australia subject to ACCC approval. Hometrack Australia is a residential property data company and subsidiary of Hometrack Data Systems, which is owned by UK listed ZPG. Hometrack Australia is a provider of property data services to the financial sector. Its suite of products includes property data analytics and insights, customised data platforms and an Automated Valuation Model (AVM). The purchase consideration of $130m will be funded from existing cash reserves and debt of $70m. 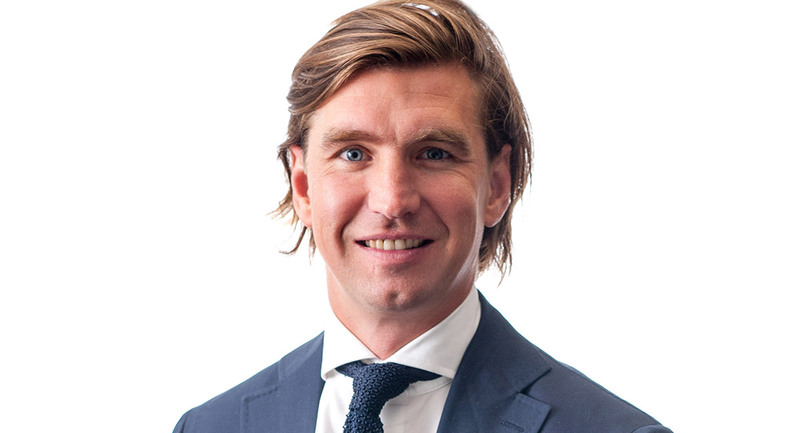 The Hometrack Australia management team will continue to be led by CEO Brendan Darcy and will operate under its current structure and brand. Hometrack Australia is forecast to deliver revenue between $13m and $15m and EBITDA between $6m and $7m for its financial year ended September 30, 2018. There would also be cost synergies realised in the REA business once the Hometrack business is fully integrated into REA’s platforms. A small article in a regional newspaper defamed former Liberal MP Sophie Mirabella when it said she “very publicly pushed” her political rival Cathy McGowan out of a photo opportunity, a jury has found, reports The Australian’s Tessa Akerman. The Wangaratta jury of five men and one woman deliberated for 40 minutes over the imputations of The Benalla Ensign’s five-paragraph article titled “Awkward encounter” before finding for Mirabella. The parties will return to court tomorrow to make submissions regarding damages. Screen Australia has published proposed new guidelines for Screen Story Development (drama) funding, which are open for industry feedback until Thursday May 31, before coming into effect on July 1, 2018. “The proposed development guidelines represent a seismic shift for early career creators – doing away with barriers based on eligibility credits, distribution platform, when funding is available and even administrative barriers in the application process itself,” said Screen Australia CEO Graeme Mason. “We expect experienced creators will also welcome the ability to apply for multiple phases of development on a single application, and the removal of funding caps. The proposed guidelines allow projects for any platform, including TV, film and online, to be able to apply for development funding from one of two program strands – the Generate Fund or the Premium Fund. The Generate Fund will be for lower-budget projects with an emphasis on new and emerging talent or experienced talent wanting to take a creative risk. There will be no eligibility requirements for this fund. However, applications will need to be competitive against the criteria and in line with the aims of the fund. The Premium Fund will be for higher-budget projects from creatives who have had critical and/or commercial success. This will be for projects that demonstrate ambition and scale. The commercial viability of the project, and the path to a significant and clearly defined audience will be a key focus of this fund. The total funding pool between the two funds will be $3 million for 2018-19, which is approximately the same as the development funds available in 2017-18. 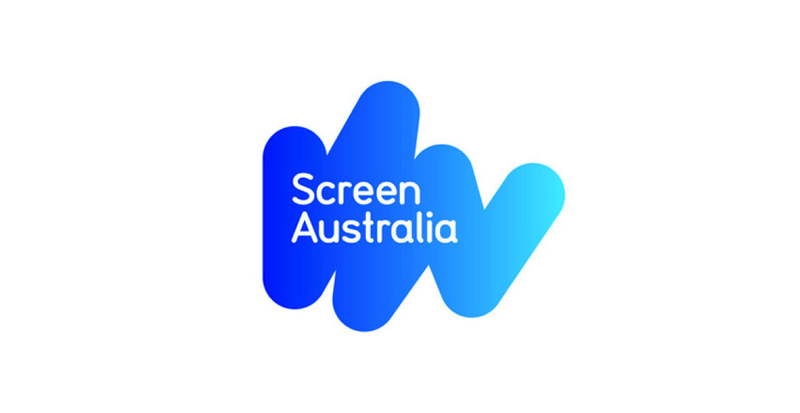 Screen Australia is seeking industry feedback via email from today until Thursday May 31 inclusive. Submissions should be made to DevelopmentReview@screenaustralia.gov.au direct into the body of the email or via a Word document attachment, including the respondent’s full name and contact details. Submissions will only be made public if the author gives permission in their email. Jungle Entertainment has appointed Shay Spencer as development manager, drama, as it looks to expand its slate. Jungle produced Mr Inbetween, the only non-US drama series selected for the Sundance Film Festival, and now also has a number of dramas in advanced development with Australian networks. Spencer will play an integral role in managing and building on this slate. Spencer was previously at FremantleMedia where she worked with Jo Porter on drama series such as Picnic at Hanging Rock, Wentworth and Hoges. Jungle will lean on Spencer’s expertise to bring in new projects and creative teams, and she will also work with head writer Phil Lloyd on the existing drama slate. One of the series in development is Jungle’s Cli-Fi initiative, which brings together climate scientists and writers to develop an anthology of stories about climate change, funded by the ABC, Create NSW, Screen Australia and University of NSW. Liza Abbott, CEO of the Banijay Group-owned 7Wonder, is stepping down from her position, reports Realscreen. Following her departure in May, an announcement will be made regarding the organisational changes that will follow Abbott’s exit. 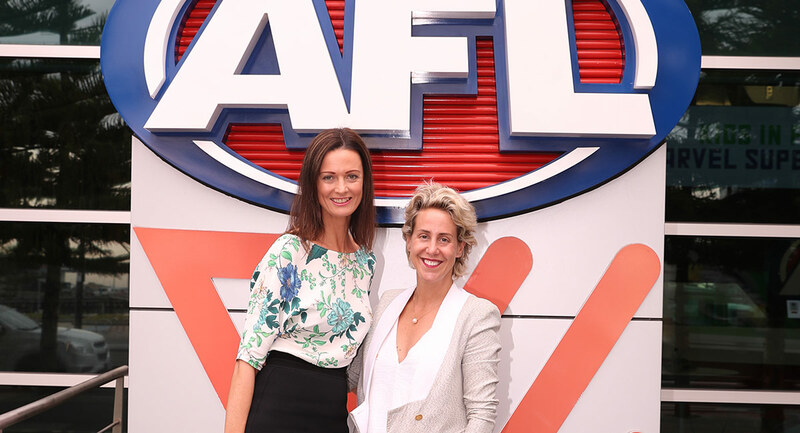 Originally backed by Australia broadcaster Seven Network, Abbott, along with her fellow Maverick Television execs Alexandra Fraser and Simone Elise, founded the London and Birmingham based prodco in 2014 before Banijay acquired the company in February 2018. In Tom Gleeson’s latest Hard Chat segment which airs during ABC show The Weekly, he mercilessly mocked Em Rusciano over her struggling 2Day FM breakfast show, reports news.com.au. Rusciano started hosting the radio show in January last year with Harley Breen, who left the show at the end of 2017. Mediaweek spoke with Gleeson about Hard Chat and his spinoff show Hard Quiz before its launch at the end of 2016. Read the interview here. 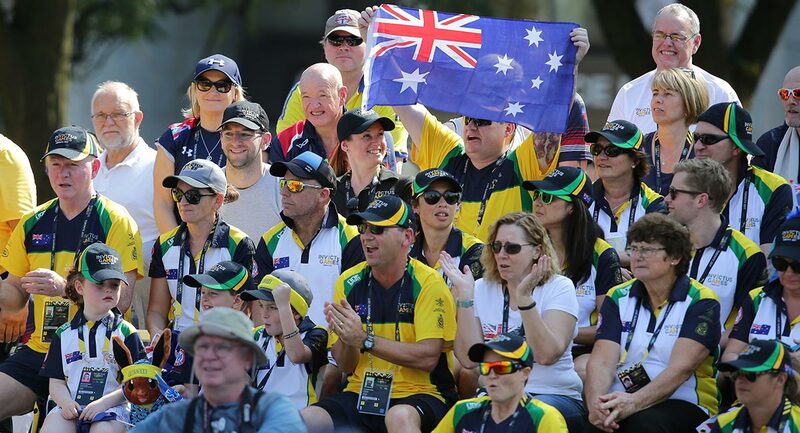 The Invictus Games Sydney 2018 have appointed GPJ Australia as ceremonies producer for the opening and closing ceremonies, to be held on the forecourt of the Sydney Opera House on October 20 and Qudos Bank Arena on October 27, respectively.